You’ve got the perfect date, you booked the perfect Italian restaurant. You hop in your car, drive through the city and get ready to start your romantic night. But where do you park without turning off the spark? Parking is always a challenging task, especially in the busy streets of cities. No one likes to waste precious time looking for the perfect parking spot, especially your date. If you want your romantic night to go smoothly without worrying about breaking into a sweat, we’ve got you covered. Prevention is better than cure, so the smartest thing to do is plan your night. If you’re heading to a hotel or a gig, you might be lucky. Most of the time organised events have directions on their website to the closest parking spaces, often offered by them. 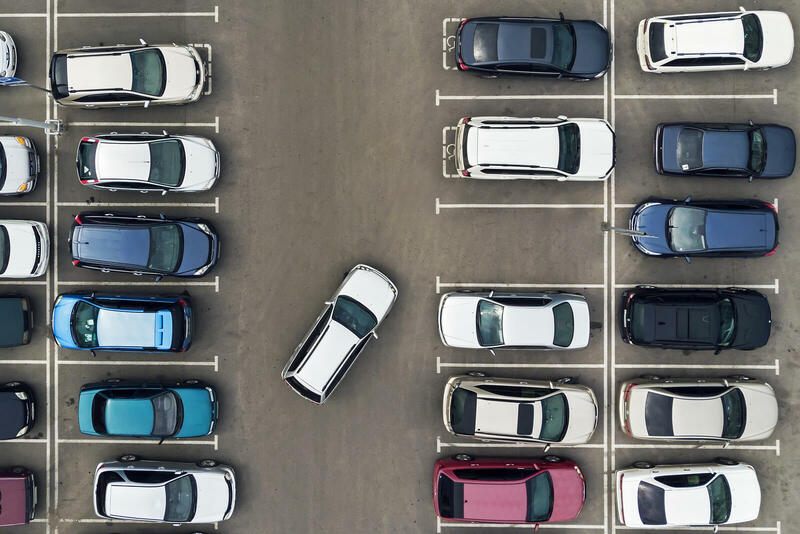 If you’re simply going out for dinner or a pint at the pub, you might want to use an app to look for the closest place to park your car and not waste your time. There are plenty, such as Parkopedia, Parkmobile, Parker or Around me. With a simple click you’re able to find a safe spot to leave your car. If you’re in the mood for a stroll, you can find a parking spot further away from your destination. This can either be at a friend’s house or even a supermarket parking space. This comes in handy if you’re familiar with the area and know of a less busy street – but other people might also be onto it, so be ready to walk it. Another option is to park at a transit hub and finish your journey by public transport. If adventure is what you’re looking for, you’re in the right place. Whatever the time or place, just hop in your car and wing it. Try and get to your destination a bit early, you might be able to find a parking spot nearby, or half an hour away from it. It’s all about the luck. Keep your reflexes active and be ready to park if you see an opportunity! In any case, whether you plan it, trek it or wing it, always be mindful of where you’re parking your car. Parking spots are sometimes free or you might have to pay through a parking meter, either using change or with a debit or credit card. How much you have to pay for parking can vary a lot. The Liverpool Pall Mall Park charges £8 for up to 2 hours on weekdays, whereas Liverpool Central Car Park costs £1 per hour or £8 per day. You can find cheap parking at the Red Bank in Manchester for £2.50 a day. Most on-street parking in Newcastle costs around £3 for 2 hours whereas Southampton is a bit cheaper – London, on the other hand, can cost you up to £20 for 2 hours. Some cities set different prices for on-street parking based on your emission levels. Times for restrictions also apply, typically in place from 8.30am to 6.30pm Monday to Saturday. Remember to always be aware of your surroundings: do not park in front of driveways, in accessible bays reserved for disabled people and don’t double park. Be careful with the colours of the line – avoid the reds and be mindful of the yellows. Parking rules are usually sign posted so be sure to read them in order to avoid parking tickets.